Digital Marketing is a big industry. There are many words and abbreviations used to describe certain functions or activity – that can get confusing pretty quick. When working with SMBs we take the time to explain in plain English the marketing channels available today so a confident decision can be made on strategy. This glossary can be used as a reference, and help identify new words used in Digital Marketing. This list has a focus on Google AdWords and related terms. We will add to this list over time, and if you see a term missing or would like clarification on one please leave a comment below! The algorithmic process whereby advertisers compete with one another to have their ad displayed. The text part of a text ad. Also known as copywriting. Ad Group: The sub-level to a Campaign, this contains one or more ads and keywords to trigger the ad. Ad Rank: Quality score (QS) multiplied by your maximum CPC bid determines how high on the search results your ad will show. The advertiser with the highest score gets the highest position. Google’s ad publishing platform that allows website owners to monetize traffic by placing ads served from Google’s Display Network. Google Analytics is a web software tool that allows you to place a tag in your website code to track, view & learn about the traffic visiting all web pages where it’s been installed. This is done by logging in to google.com/analytics and creating a new property. Either your target market, or referring to a group of users who have your cookies saved in their web browser (see remarketing below). On the search network, up to 7 ads will show on the Search Engine Results Page (SERP). Average position of your ads describes where your ad ranks on average. A 1.0-3.0 average position is desirable because that means your ad was at the top of the page when it fired and had the best chance to be seen and clicked. A keyword that will trigger your ad for that term, similar phrases, synonyms, or spelling variations. These keywords provide the lowest level of control, but the largest potential reach. A middle ground between broad and exact match keywords. Formatted as a plus sign in front of your +keyword or +keywords. The plus sign is the modifier, which requires the keyword to be in the query for the ad to fire. Very powerful stuff. Bidding on your own brand or business name search. Branded terms often have a very high CTR, and therefore a high quality score and low cost. Eg: “Best Western Vancouver” is a branded search, whereas “Hotels in Vancouver” would be a non-branded search. When a user visits a page on your site and leaves without interacting with it or clicking through to another page. A Bounce Rate is calculated by dividing bounced sessions by total sessions and can be used as a relevance indicator. The next step you want your user to take on your landing page, usually in the form of a CTA button. (eg: “buy now” “contact us”). On mobile, a call button is placed with your search ad, allowing the user to tap to call directly from the search results page. These calls can be tracked to better understand ad performance of Return On Ad Spend (ROAS). An ad extension consisting of 1-25 characters of non-clickable text. Usually used for highlighting specific products, services, or promotions. The top level of ad account structure. The campaign is where you specify targeting, budgets, scheduling, bid strategy and more. The percentage of time your ad is clicked. Calculated by ad clicks divided by ad impressions. Data that is stored in a user’s browser containing information about visits to a particular website. This is the rate at which people convert on your site or landing page. Divide total sessions by total conversions to calculate a conversion rate. This is the dollar amount that you will pay per each click on your ad. Bidding is always done using CPC on the search network, and is often used on the Google Display Network as well. The cost for 1000 impressions. As an alternative to CPC bidding, you can bid by CPM. CPM bidding can provide different results than CPC bidding when using display advertising. CPM is universally used in digital media buys as a cost metric. Image ads, displayed on different websites that are a part of the Google Display Network (or other ad distribution networks). They come in various sizes, and can be static or animated. A website on the Google Display Network where your ad appears. Can also refer to where physically on a page an ad is placed. Based on your interactions with a website or app, advertisers may target you with content specific to your behaviour. This is commonly used with eCommerce websites with a large product inventory. The user must enter the exact keyword phrase when searching in order to trigger the ad. This keyword match type offers the highest level of control for the advertiser. In Adwords these are entered as [keyword]. For display advertising, frequency will tell you how many times a user has seen your ad on average. A function that allows you to control the maximum number of times you want your audience to see your ad. A network of websites that monetize their traffic by allowing Google to place display ads in different formats on them. This ad format is set up with a linked Google Merchant Center feed that allow ecommerce products (not services) to be shown with pictures in Google search results on the search network. Also known as Product Listing Ads (PLA). If your website contains a number of tracking tags. Google Tag Manager allows multiple tags and tracking to be managed through one “container” tag. Once installed, tags can be managed from the user interface rather than having to update code manually. Impression: Any time an ad is loaded on a page is considered an impression. This applies to search, display or video ads. The percentage of auctions your ad was qualified for and was displayed. If your ad has less than 100% impression share, it is because it didn’t rank high enough or your campaign didn’t have enough available budget. Search Lost (Rank) and Search Lost (Budget) breaks this metric down into 2 groups. YouTube video ads that appear before a selected video. Cost-Per-View (CPV) billing is used, but the advertiser only pays if more than 30 seconds of the ad is watched. Fraudulent, suspicious, or inadvertent clicks. Google credits invalid click activity back to your account. A word or phrase that is selected and bid on within a campaign. The page a user lands on after clicking an ad. The landing page’s relevance to the ad plays an important role in campaign effectiveness. A communication received to a business from a prospective customer. Usually the person who calls or submits a form on a marketing landing page. This ad enhancement allows the user to see the location of your business right from search. This can be added manually or by linking your Google My Business page. A keyword you choose to prevent your ad from firing on specifically. Used to increase relevance by excluding your ads from showing on irreverent searches. Visitors to your site who previously did not have a browser cookie from your website. Any form of advertising that refers to the PPC model for bidding. This match type must be present exactly as typed in a search query to trigger an ad. In Adwords these appear as “keyword”. For example, the Phrase Match Keyword “vancouver lawyer” would work for the search ‘How to hire a Vancouver lawyer today’. It would not be eligible for the search ‘Vancouver injury lawyer’. These are specific website placements where your ads have or where you want your ads to appear within the Google Display Network. Each keyword will have a quality score between 1 – 10 that acts as an indicator for relevance. Quality score plays an important role in campaign performance. Quality scores can be improved on, and will allow you to be more competitive in ad auctions. Relevance: The number one driving force to the success of any campaign. Relevance is the extent of which we can match the user needs with the product or service. A strategy used to target users who have previously been on your website. Within AdWords you can remarket to users with the search network, display network, and Youtube. Learn how to set up remarketing here. When you define an audience of users in Google Analytics (ex. All Users from the past 365 days, Users who visited a specific page within the last 30 days, Users who completed a conversion) they are automatically added to a remarketing list in AdWords if the two accounts are linked. You can then choose a list of users you’d like to advertise to specifically. The first page of results provided by a search engine (Google, Bing, Yahoo, etc) for a given search query. A user-defined phrase entered into a search engine to begin a search. An ad extension consisting of links to (ideally) relevant pages of your website. They can have accompanying text, although they won’t show the text every time due to Google’s automated ad formatting. Total amount of search queries (or specific search queries) made on a search engine within a set time period. An ad extension where similar items of non-clickable text are listed together. For example Locations, Types, Styles, Featured Locations. Categories available to use are set by Google. Viewability refers to whether online ads are in the visible part of a user’s screen for a minimum period of time. These measurement standards are designed to provide more transparency to advertisers. A ‘viewable’ banner ad has at least 50% of the ad appear on a user’s screen for at least 1 second. For large format ads, it’s 30% for 1 second. When bidding on display ad placements, all CPM-based bids now use vCPM. This means advertisers don’t pay for an impression unless their ad is actually viewable by the user. 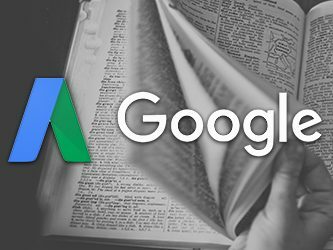 This Ultimate Google AdWords Glossary term will make any advertiser life a little easier. Thanks for sharing.